The Mobile World Congress almost knocking the door and all huge mobile Titans and flagships are decked up with the best of mobiles and devices and the whole world is looking forward to this grand event. Huawei has recently launched a teaser trailer of their new mobile phone. You can watch the video in YouTube. The video showcases a smartphone with a sleek stylish look smartphone which speaks in a voice interactive environment. When the user asks about some real amazing gadgets the smartphone display a stylish tablet with a long battery life for days of use and a new mobile phone with a high quality front camera. Some more devices will be displayed that can connect to LTE future generation. The video sarcastically implied Apple as ‘fruit’ and Samsung as ‘some song’. The video though compact did not mention much about the products. 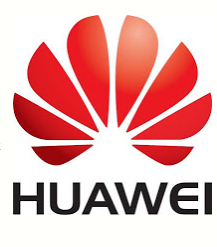 May be Huawei has planned a surprise curtain raiser in MWC.